Chumadh seirbhisean air feadh na dùthcha mar chuimhneachain air nam mairbh bho Bhlàr an t-Somme. 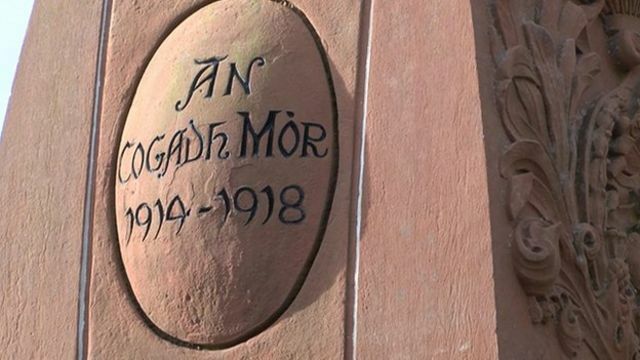 Thòisich mòran dhiubh aig 07.30 - an dearbh mhionaid 's a thòisich oidhirp nan saighdairean 'sa bhatal. Bha Karen Elder aig a' charragh cuimhne an Inbhir Nis.